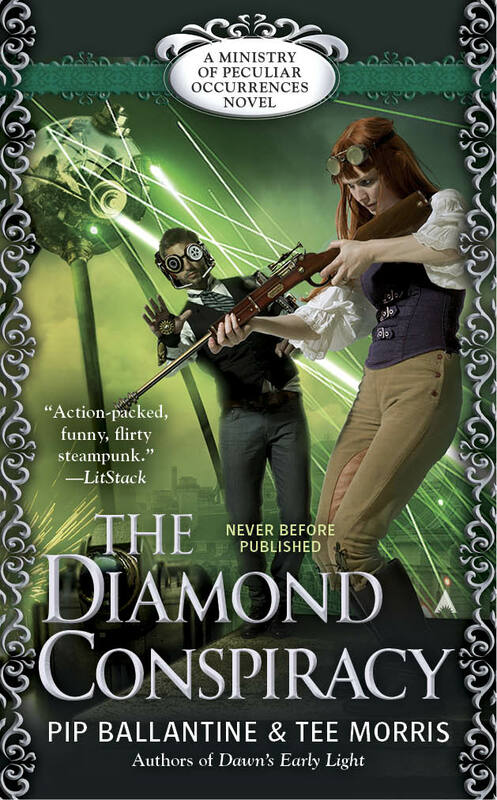 The Diamond Conspiracy is HERE! 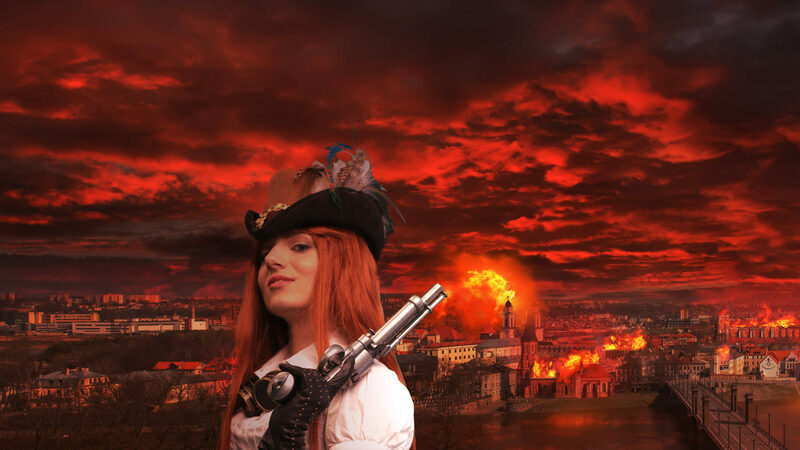 The fourth book (fourth, can you believe it!) is now available, in print, digital and audio. Having narrowly escaped the electrifying machinations of Thomas Edison, Books and Braun are looking forward to a relaxing and possibly romantic voyage home. But when Braun’s emergency signal goes off, all thoughts of recreation vanish. Braun’s street-wise team of child informants, the Ministry Seven, is in grave peril, and Books and Braun must return to England immediately. 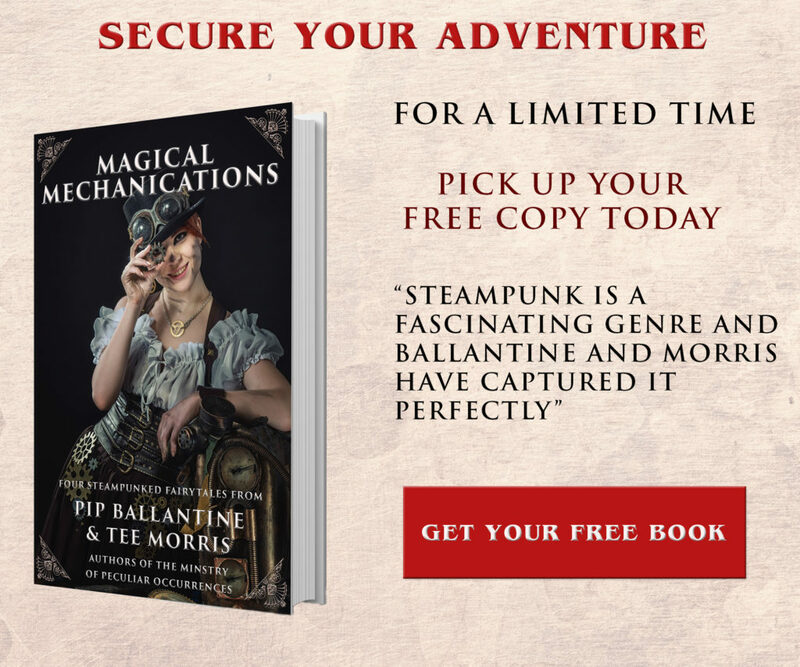 …a fun, quick paced steampunk action story filled with quick wit, and dastardly bad guys who are simply no match for the brilliance of Books and Braun. In this latest installment we finally learn more about Welly’s and it’s quite the doozy. It’s great to finally see him drop down his guard and let the reader and Eliza in. I mean seriously, their romance is so adorkable, and I love when they get into heated conversations because both are so stubborn and awkward that it makes you laugh. Eliza continues to amuse me in every book, and she always gives the reader lines to chuckle over. 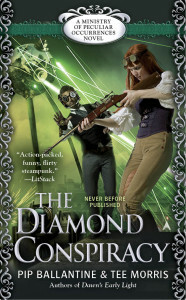 Please do let us know what you thought of the Diamond Conspiracy by leaving a review or telling your friends. ← Previous Previous post: Celebrate with the Ministry!